The Twin Cities "First Lady of Song" dropped by the TPT Studios to share her talents and talk about her music, the Twin Cities and how she feels blessed to do what she does. The Twin Cities "First Lady of Song" dropped by the tpt Studios to share her talents and talk about her music, the Twin Cities and how she feels blessed to do what she does. Artist Bio: Debbie was raised in Detroit by parents steeped in jazz, and was surrounded by the vibrant sound of Motown that was sweeping the country. She also has a strong love of folk, classical, and gospel music. The combination of these influences has given her the ability to blur the lines between jazz and popular music, and to sing with a rare level of emotional conviction that draws the audience into the heart of a song. Debbie has collected many awards; Best Female Jazz Vocalist, Best Jazz Vocalist, Best Female Performer, Best Jazz Group, Best Jazz CD: Minnesota Music Awards; Best Female Jazz Vocalist: Minnesota Black Music Awards. Debbie has honed her skills through years of experience. She studied classical voice for 14 years, including 4 years at Wayne State University. In Detroit she recorded back-up vocals for Mitch Ryder and Bob Seger. She then spent several years in the Los Angeles music scene recording back-up vocals for various artists and performing with her own jazz groups in popular nightclub settings. 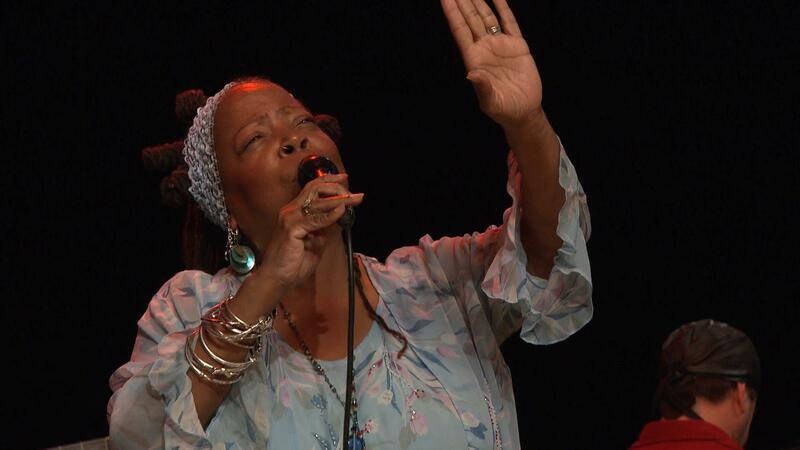 Jazz vocalist Debbie Duncan performs.